Humidifiers increase the humidity level in dry indoor areas by dispersing a delicate, invisible mist into the air. This extra moisture comes in handy during winter when heaters used for warmth can strip homes of much-needed humidity. In fact, dry air can lead to a variety of ailments such as allergies, colds, sinus infections, congestion problems, aggravated respiratory passages, and more. In addition to protecting your health, humidifiers are a great way to protect your home’s structural integrity. Dry indoor air can cause wallpaper to peel as well as wood flooring and wood furnishings to crack, warp, or separate. This damage is unattractive and can be expensive to repair. Additionally dry air is often the culprit behind painful, unexpected shocks from static electricity. It can even affect musical instruments, causing wooden cases to warp and crack, and strings to become loose. Simply adding a humidifier to your indoor environment will help control and even eliminate these problems. 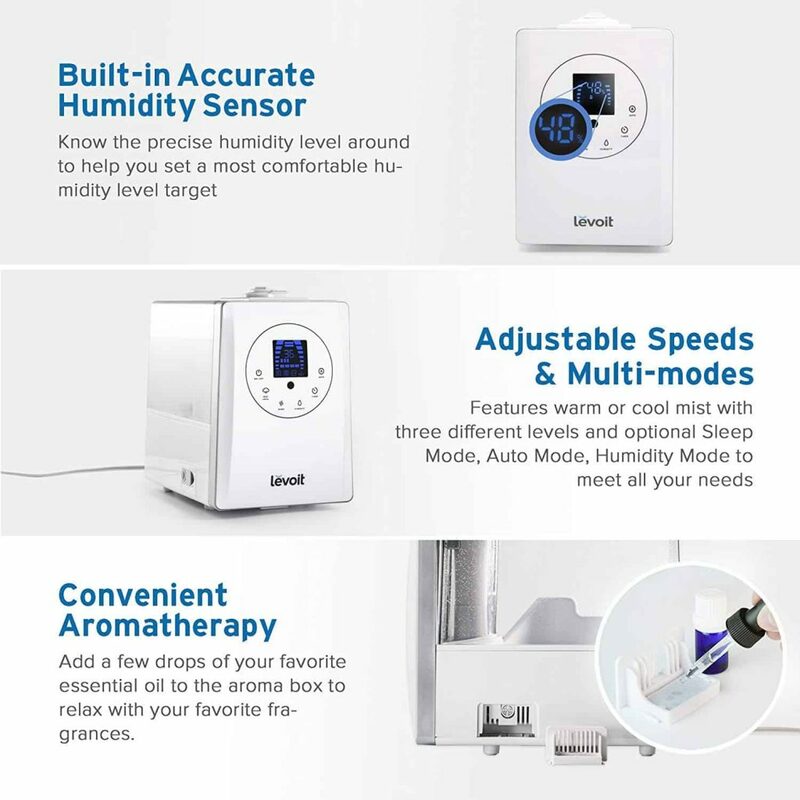 What type of humidifier do I need? 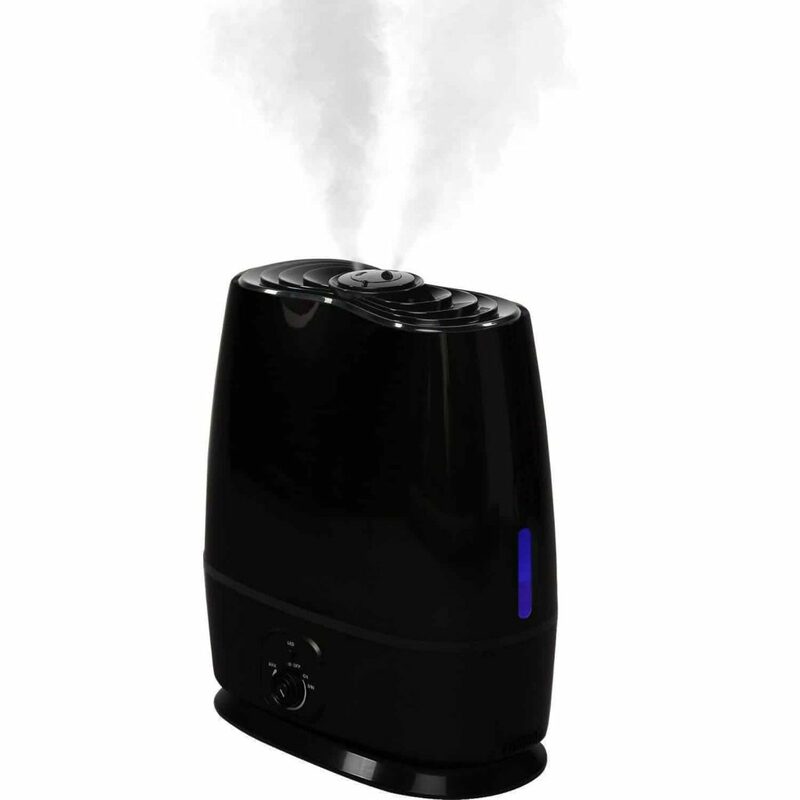 This type of humidifier disperses a room-temperature ultra-fine mist over a large area, and uses less electricity than the other types. These use a heating element to heat the water, and therefore use more electricity; but the comfortably warm mist that’s dispersed can be healthier as the boiling reduces germs and impurities in the water. What size of humidifier do I need? Your room size is key when choosing the right humidifier. 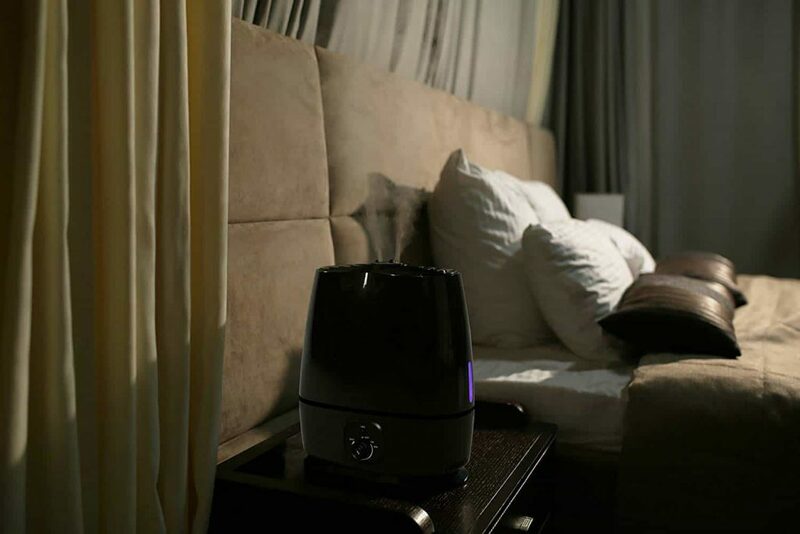 There is no need to choose a large powerful humidifier if your room is fairly small. Likewise, a small humidifier may work hard in a large room but never manage to add enough moisture to correct the problem. 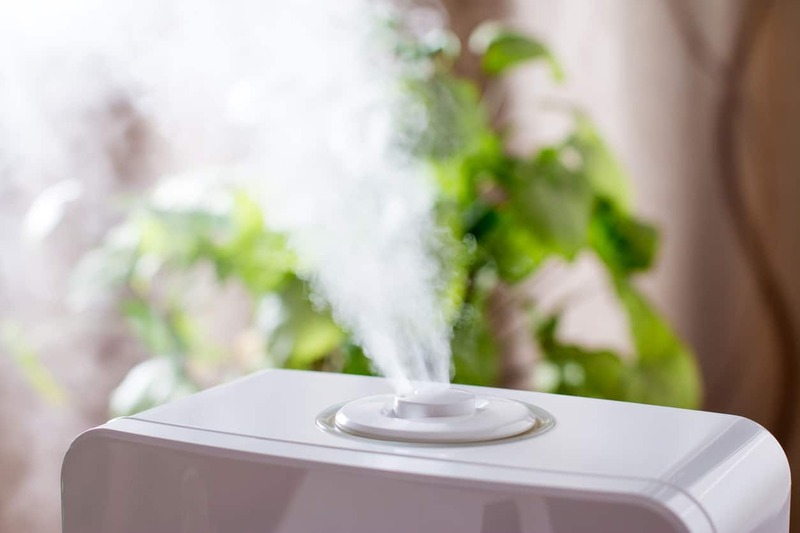 To add moisture to a small or medium sized area such as a bedroom or home office, a tabletop humidifier – also known as a room humidifier – is the best choice. But for multiple rooms or your entire house, console humidifiers are well-suited for the job. Considerably larger than a single room humidifier, a console humidifier can deliver moisture to spaces as large as 3,000 square feet. These are designed to sit on the floor. Do I need to do anything to keep my humidifier working well? More maintenance is required in hard water areas than in soft. If your water supply is hard, then de-calcification is needed more often. A thorough cleaning is nevertheless imperative in all cases to prevent the growth of germs and bacteria plus misting outlets should be checked to make sure that moisture can flow easily. Purchasing an appliance that can be easily cleaned without too much difficulty is therefore a good move. 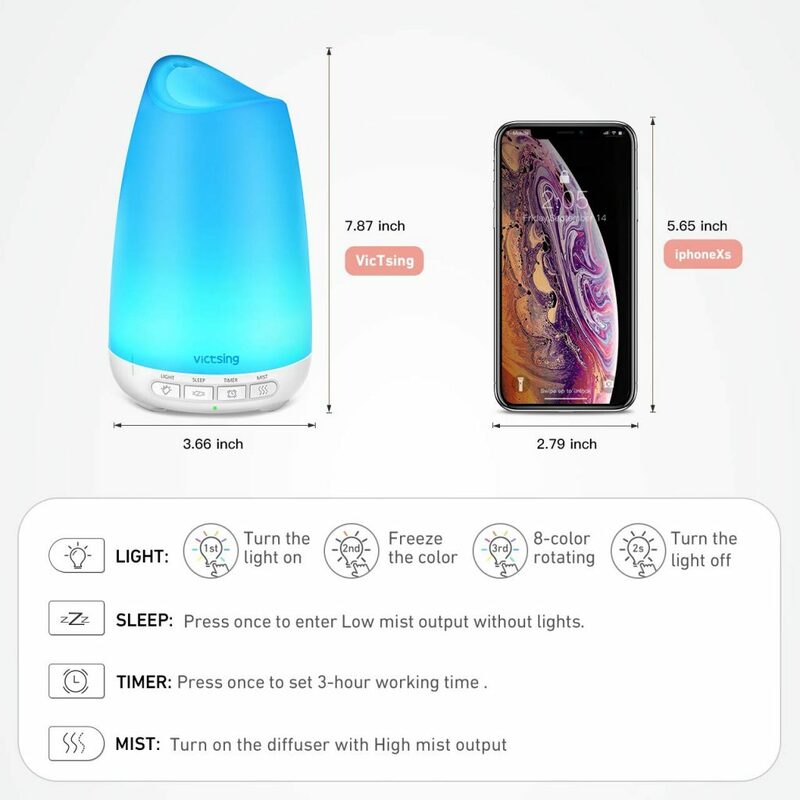 This Cool Mist humidifier can improve the moisture levels in your indoor air quickly and silently, creating a restful environment for you to live, rest and work in. With the lightweight design, compact profile, and generous tank capacity, this looks like a great humidifier. It also has the option to direct the mist in the specific direction and can easily cope with larger rooms. 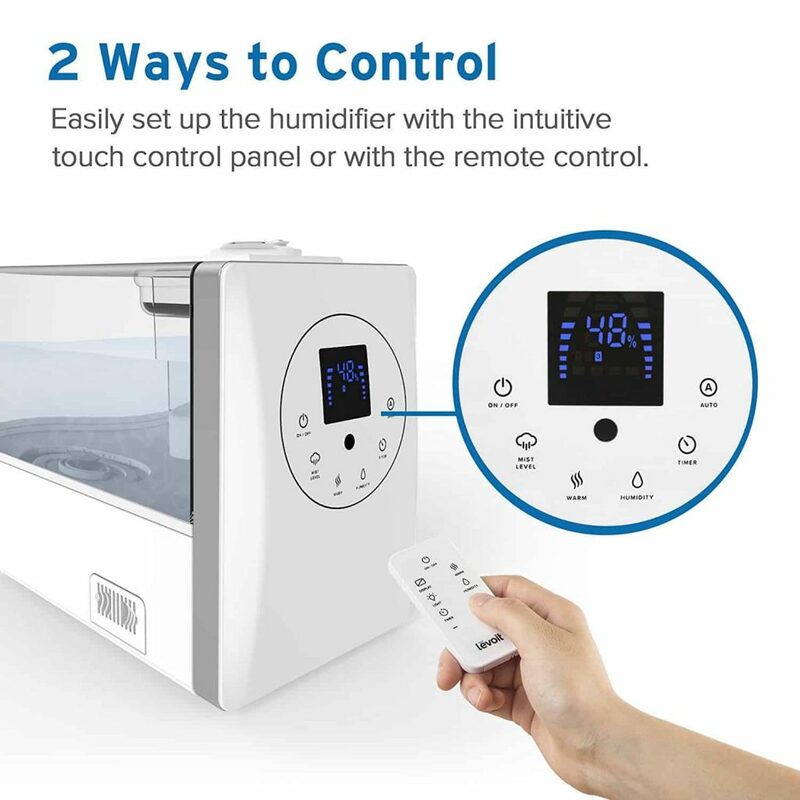 Because of the size of the tank, when used on the lowest setting, it can diffuse for up to 12 hours continuously, without us having to go near, and with the automatic shut off once the tank is empty, the unit will turn off on its own. This minimizes any possibility of causing damage to the unit and effectively extends its working life. 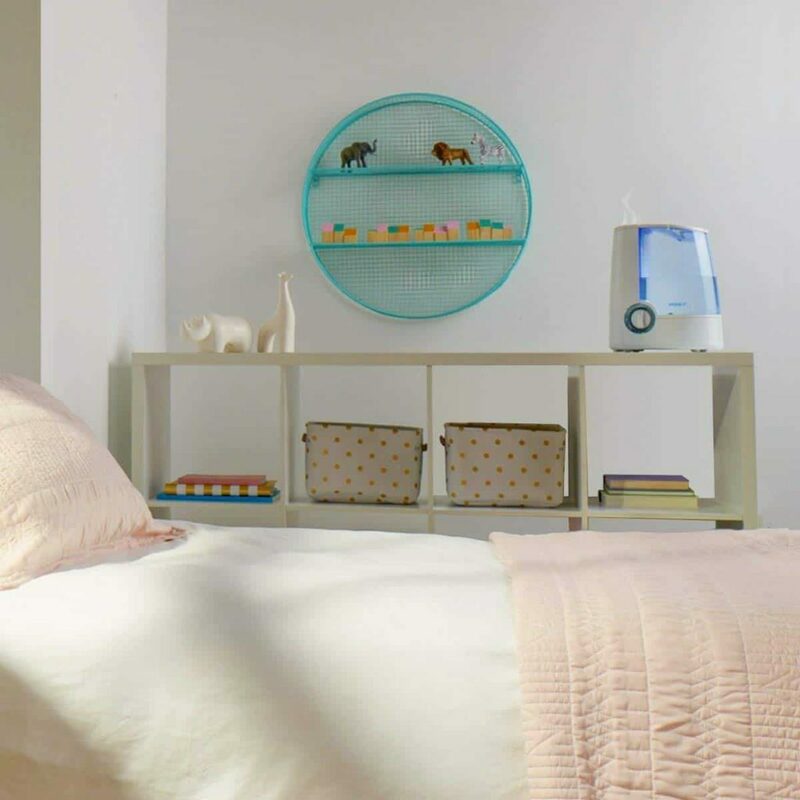 We love how quiet this humidifier is; we found we could have a peaceful, silent night’s sleep with it running, perfect for both bedrooms and nurseries, especially with the night light function offering a soothing glow. 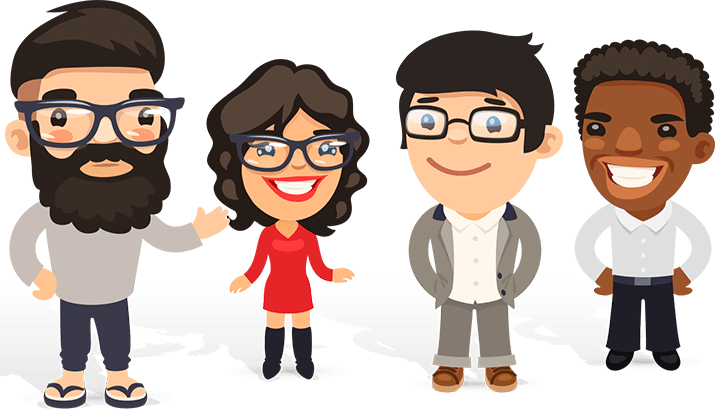 There is a generous 5-year warranty with outstanding customer support if you run into difficulties. When it was time to open the tank and refill the liquid, we found it a bit tight, but with practice it became easier. 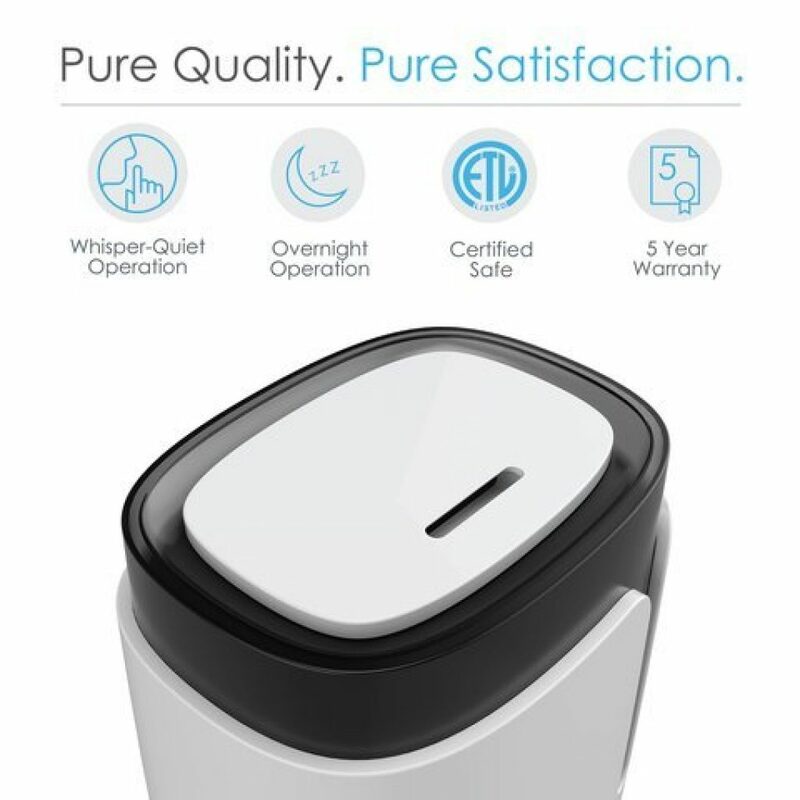 This humidifier has a large tank and can diffuse for a long time, is small enough to be moved around and has some well thought out features. We’re happy to recommend it. 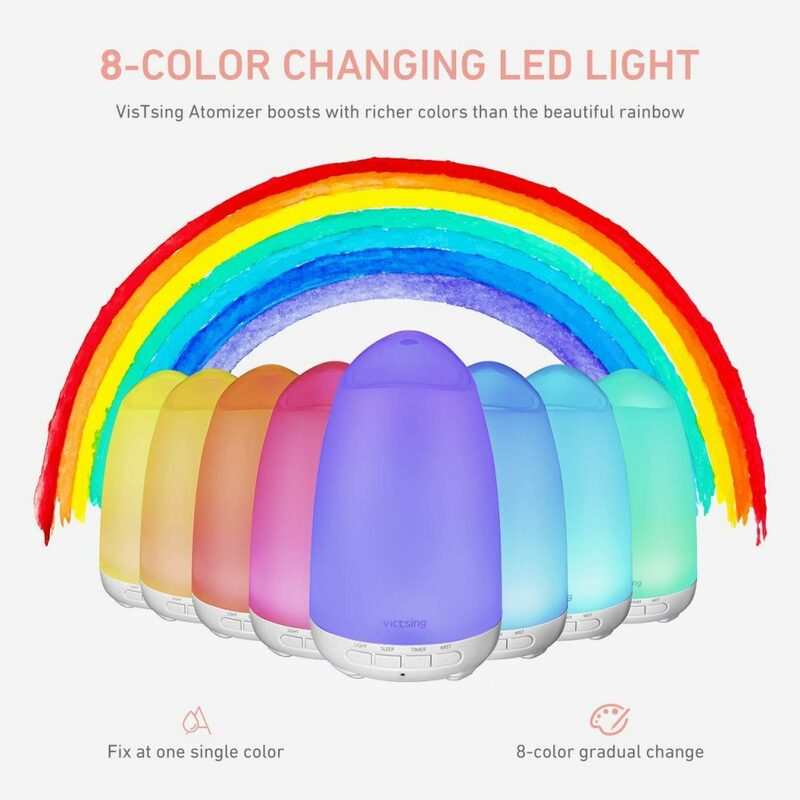 This large capacity (6L) humidifier not only puts moisture into the air but can also diffuse essential oils and produce ambient lighting, perfect for a kid’s bedroom. 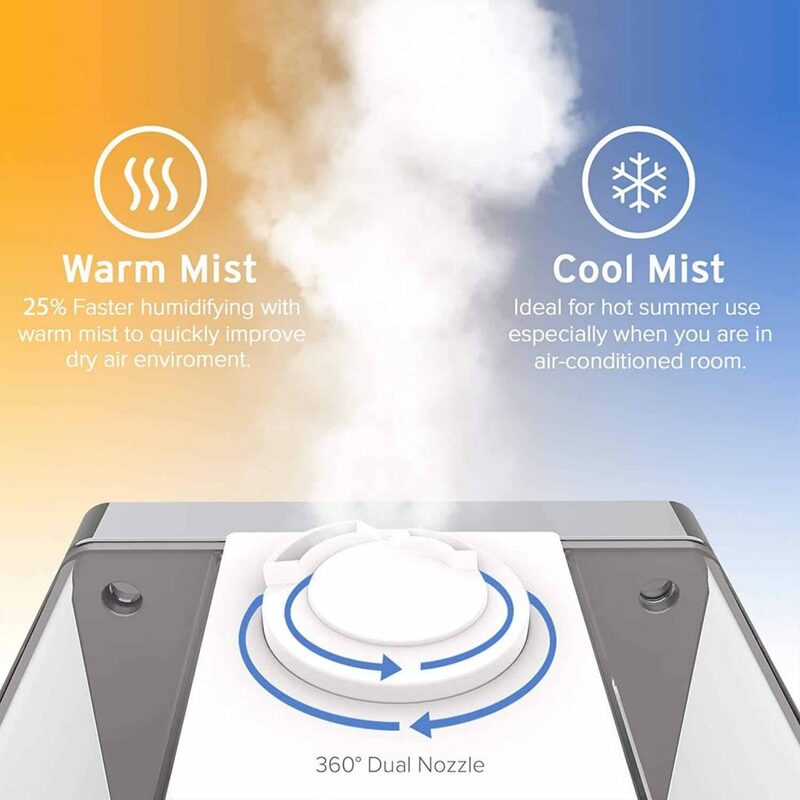 The nozzle on the ultrasonic humidifier rotates to evenly distribute a fine mist throughout your rooms, and you can adjust the mist output to dispense the desired amount of moisture. Since this is a cool-mist humidifier, we didn’t have to worry about our visiting niece accidentally burning herself if she came into contact with the unit. Plus, it runs so quietly in the background, we could have it in the bedroom with no chance of her waking up, and with the soothing nightlight she could sleep easily in a strange bedroom. 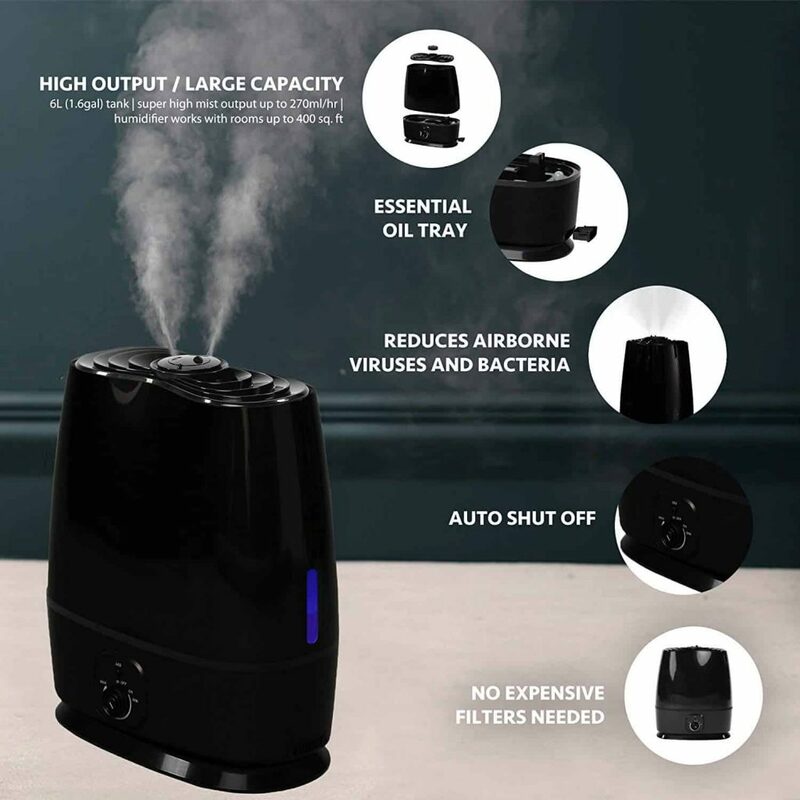 The slide-out aroma pad on this dual-filter humidifier allowed us to add several drops of essential oils to create a pleasing scent, and a relaxing atmosphere. We had this humidifier in sun room to boost the health of our plants, in the living areas, and bedrooms, in fact it’s easy to move it anywhere. Cleaning this unit is simple and quick too. As with the MistAire, the cap on the refill tank can be a little difficult to open, but again practice makes perfect, and we soon got it sorted. 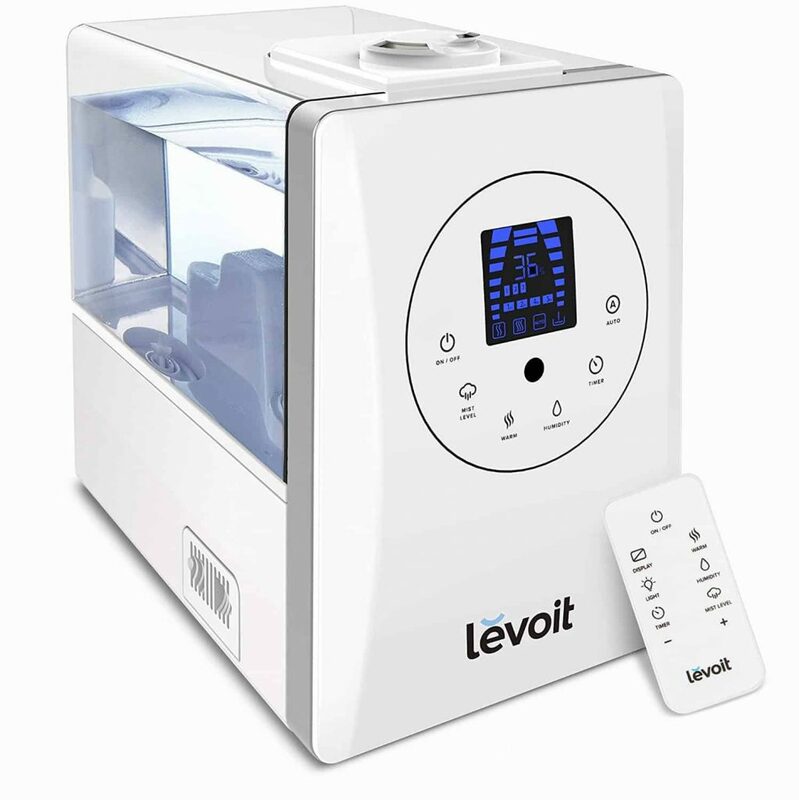 Levoit have designed a good-looking humidifier that’s durable, simple to use and easy to maintain – all at a great price. 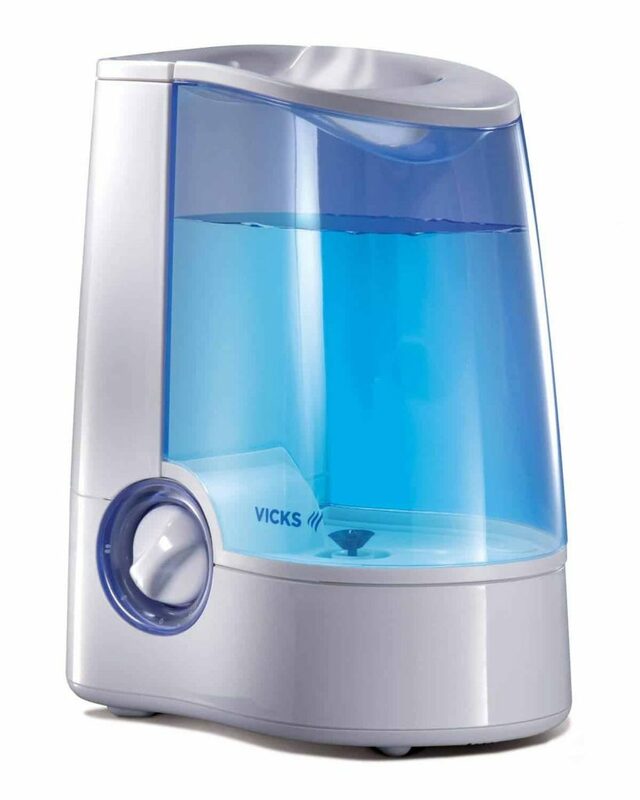 This Vicks warm air humidifier adds essential moisture to your room, producing an invisible mist to ease coughs, congestion and asthma. 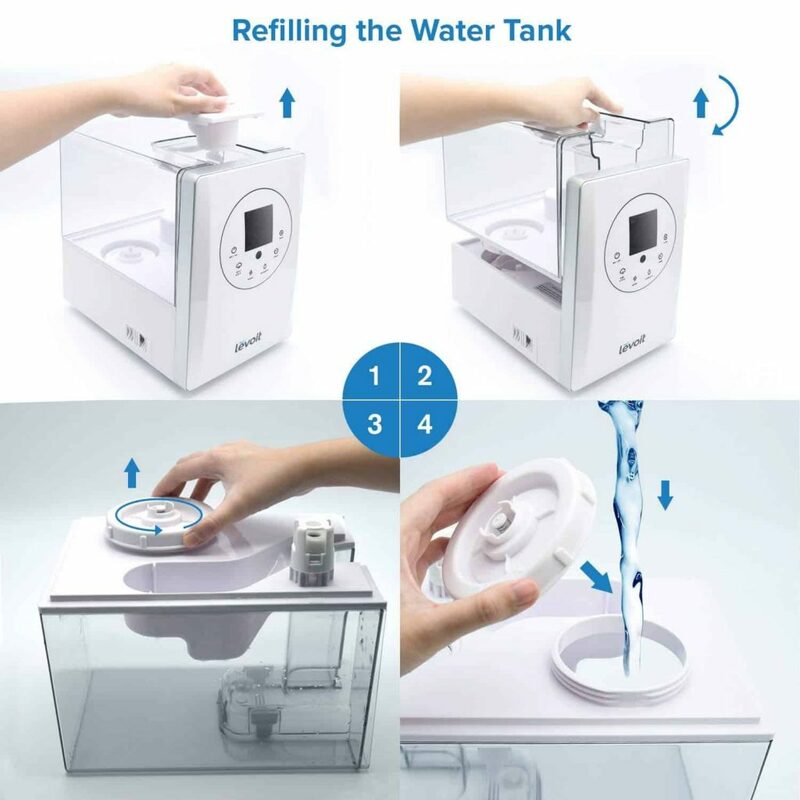 The 1 gallon tank will run for over 12 hours without being refilled, and it claims to leave the air 95% bacteria free. We lent one of these to a colleague who had a persistent cold, and overnight he felt much better and slept well. Obviously, the fact that this humidifier runs silently is a plus point here. The large opening on the tank was perfect for easy refilling and cleaning, which doesn’t need to be done that often, and the humidity level is easy to regulate. A cartridge removes any harmful substances from the water – we found this quite a comforting thought. 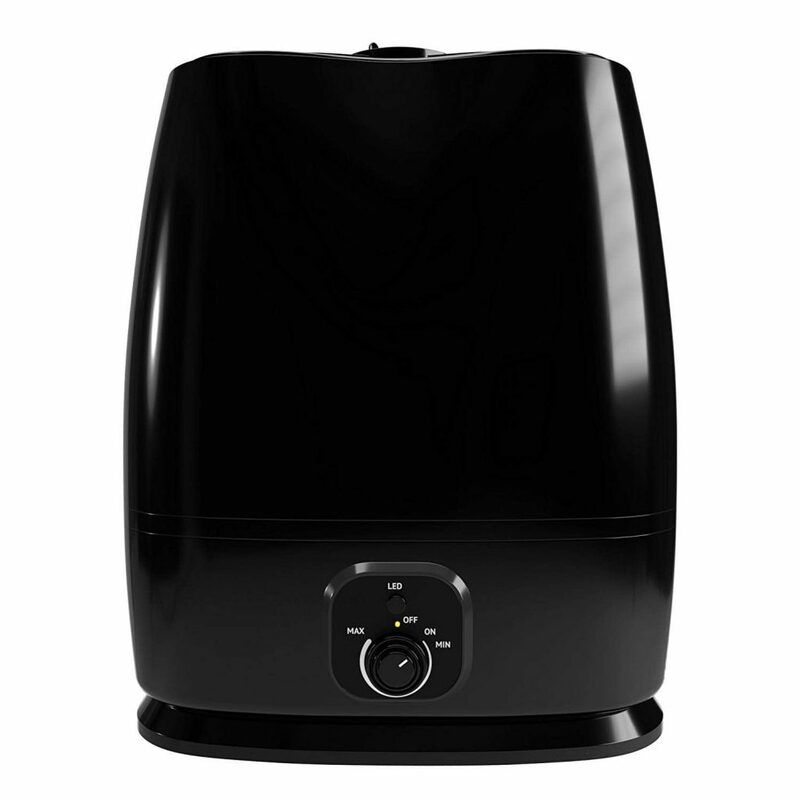 This humidifier is ideal for all rooms but especially sensitive areas such as bedrooms and children’s bedrooms. Our only complaint is the fact that this is not particularly aesthetically pleasing to the eye; however, this is certainly not a deal breaker. 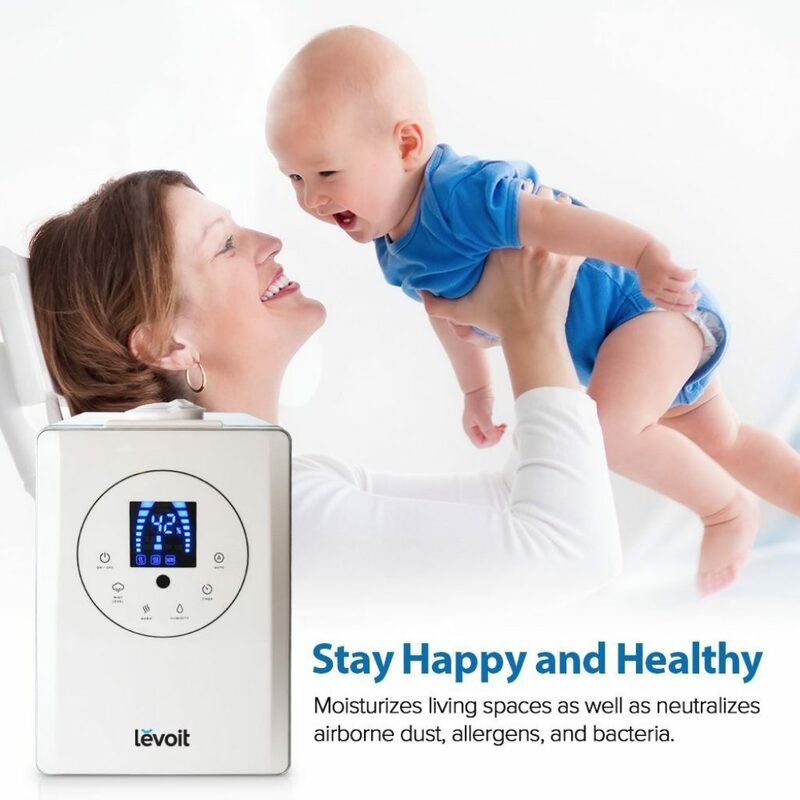 The addition of the vapour pads make this an awesome humidifier, great if you have kids, great if you love getting a peaceful sleep, great if you hate feeling ill. We’re happy to recommend this. 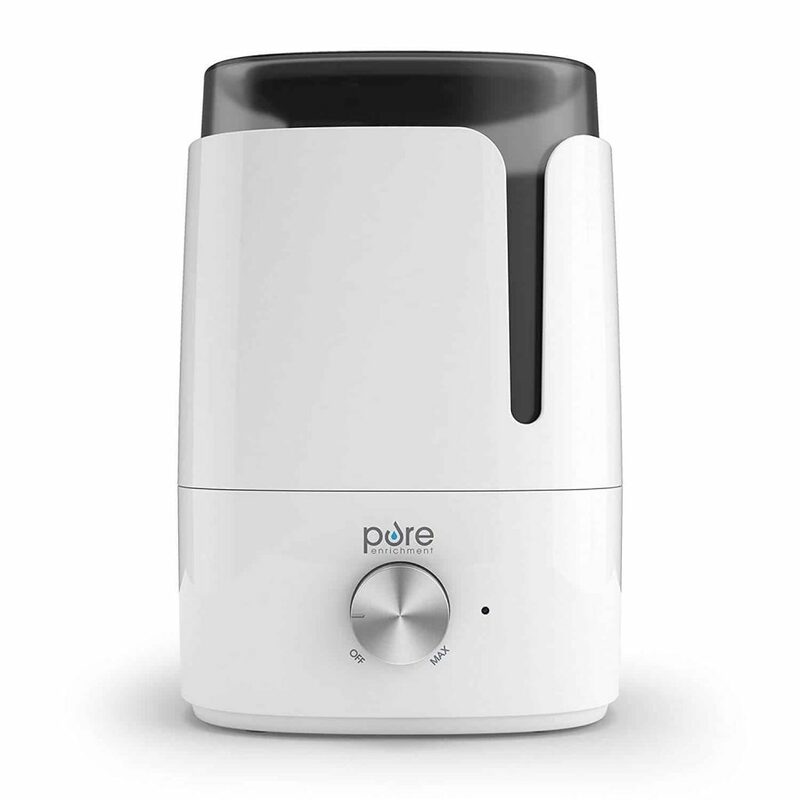 This is a very small, neat humidifier – it will fit almost anywhere, and although it’s fairly no-frills, it works well and seems durable. Whereas some other brands have an egg-shaped design, which can make them difficult to carry or refill, this VicTsing has addressed this issue with an arc-shaped design, making it look quite stylish. 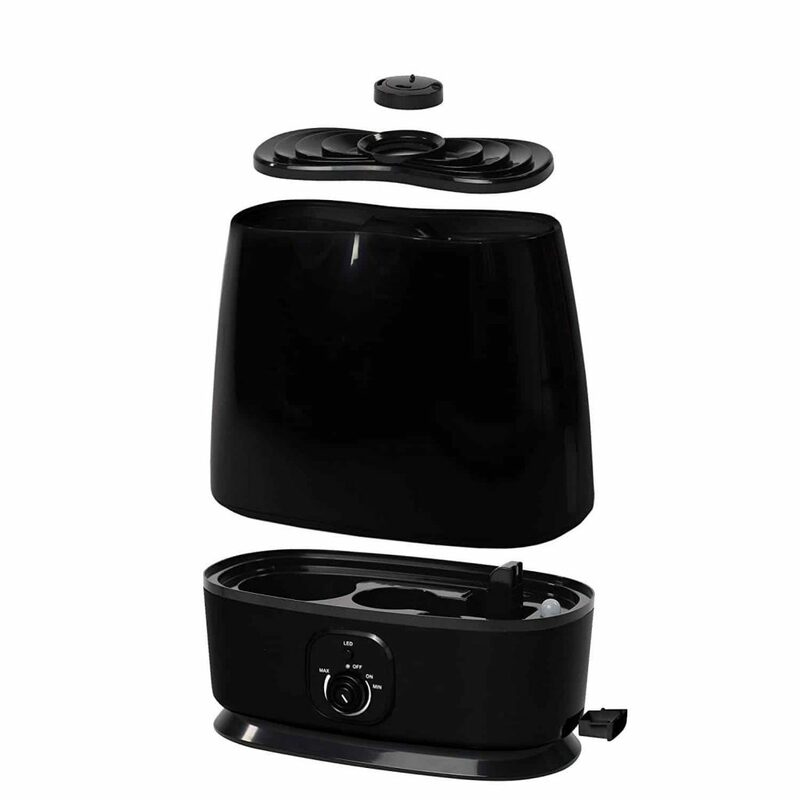 The unit is simple to use but comes with detailed instructions. 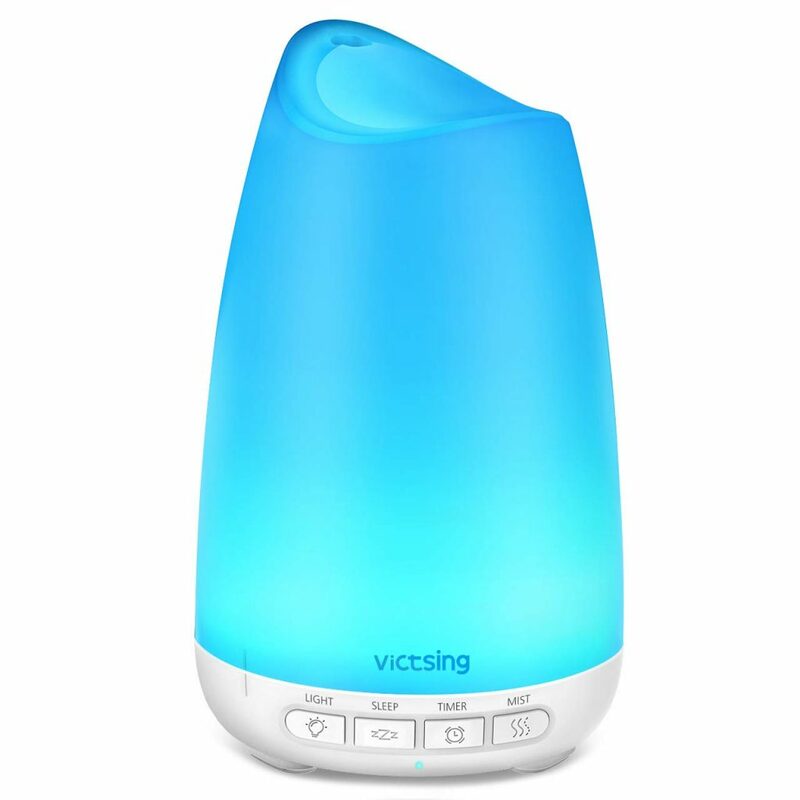 This VicTsing gives off a super ultra-fine mist, which helped alleviate allergy symptoms. We also like that it can also be used as an essential oil diffuser. It’s so easy to clean, runs near silently, and the knob control is very sensitive to adjustments – even the tiniest increment will make a difference. This makes it very efficient, and quick to set to individual preferences. 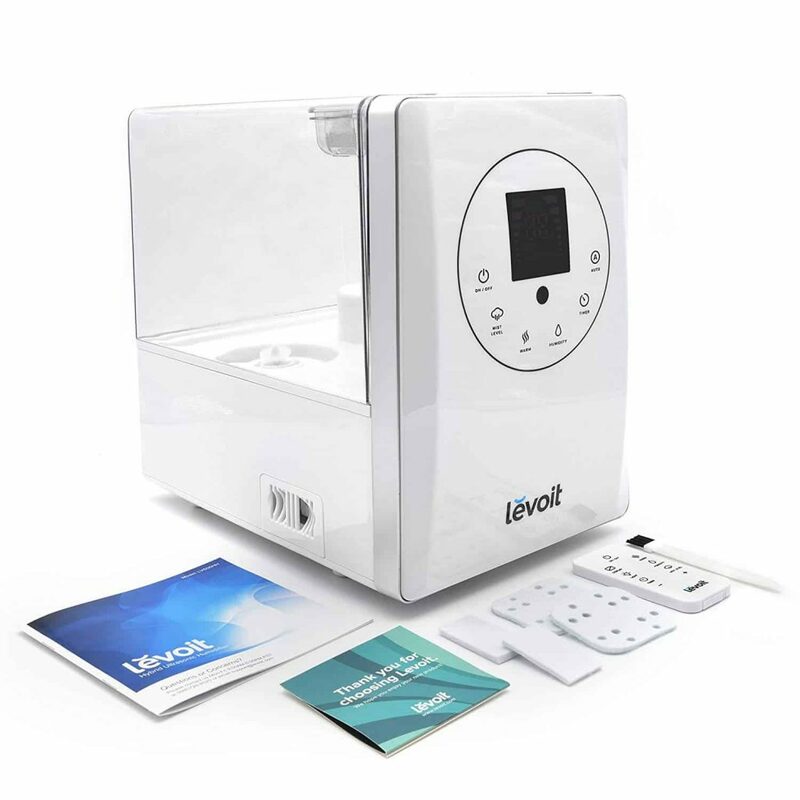 The addition of the vapour pads make this an awesome humidifier, great if you have kids, great if you love getting a peaceful sleep, great if you hate feeling ill! We’re happy to recommend this. The tank could hold more water water, it got us easily through the night, and then we refilled ready for the next night. A simple design that works superbly, and the price makes it well worth considering. This will make a great gift for someone. CONSIDERATE SLEEP MODE. Just one press of the SLEEP Button, a mode with no light and low mist output (15-30ml/h) will perfectly accompany your sweet dream. 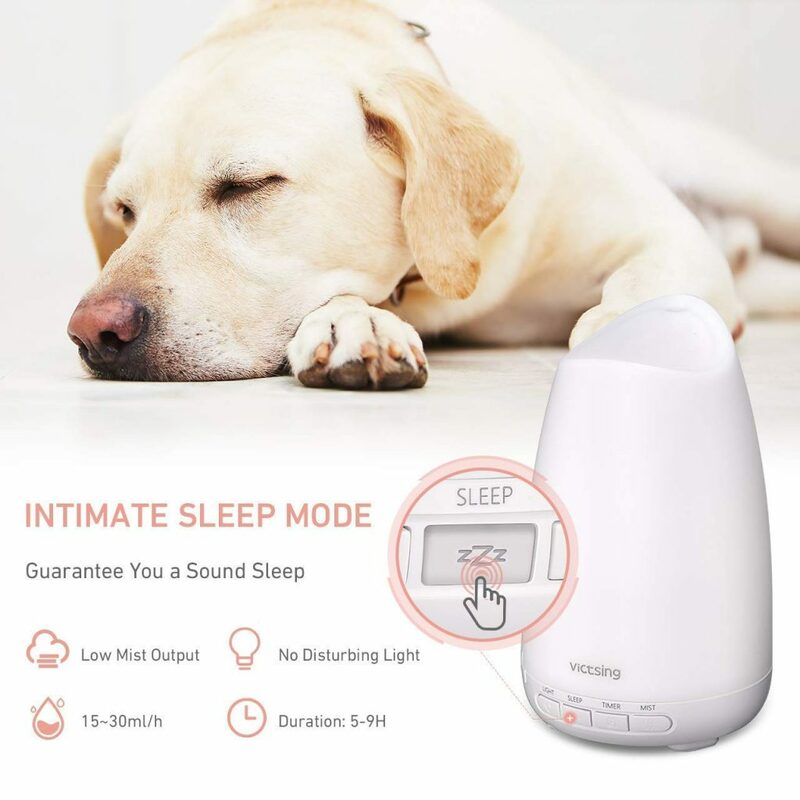 In sleep mode, this essential oil diffuser can work for 5-9H, no worry about refilling water at night. 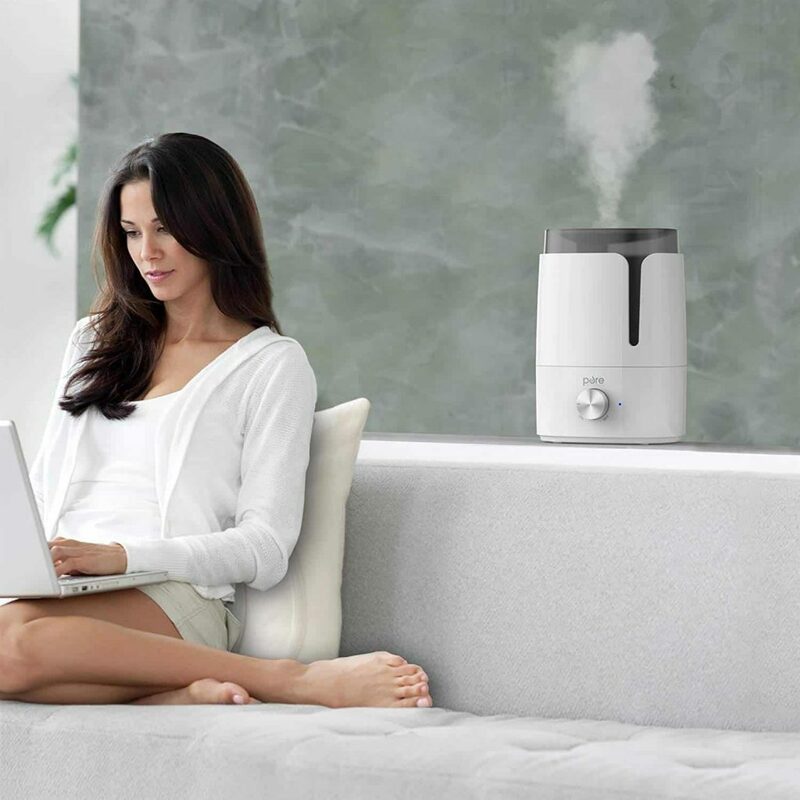 This sleek, modern humidifier is the perfect size for a larger living space or bedroom. 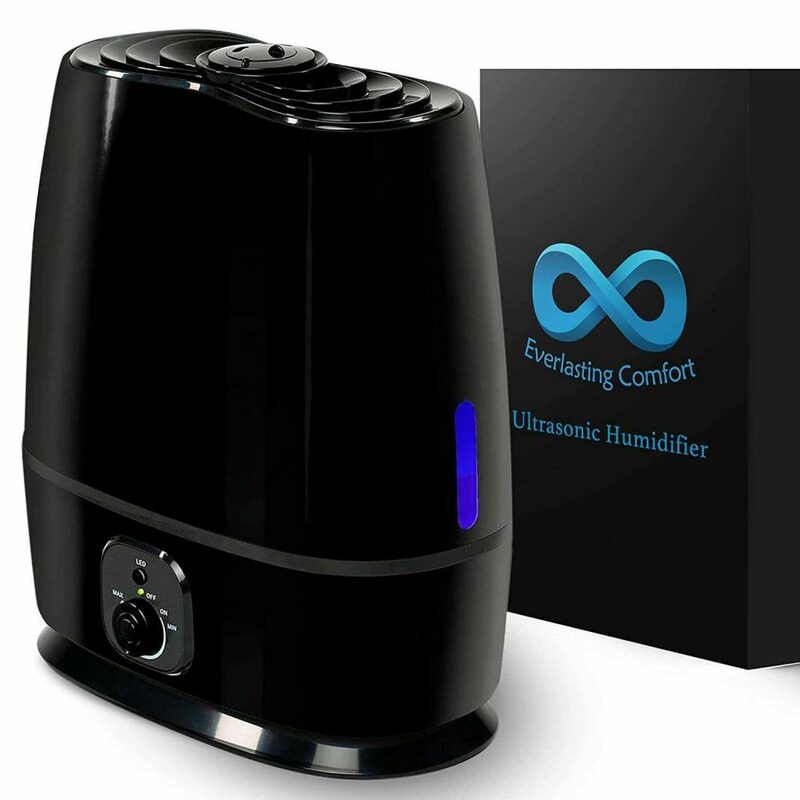 Everlasting Comfort claims that the Ultrasonic Humidifier has the ability to keep the moisture above 43% in a 400 sq. ft room, which is the suggested humidity level for a healthy and restful environment. It doesn’t come with fancy LED displays, but it does have a warm glowing nightlight, and very simple, but sensitive, knob controls. It has a large capacity tank, but the whole thing is designed to be neat, and easy to carry from room to room – which it is. It is recommended that you use distilled water for this, but several times we ran out, and found tap water was just as effective, and didn’t leave any residue – but we are in a soft water area. We love the essential oil tray, and all that’s required is to simply put several drops of your favorite oils into the tray, close it properly, and wait for the unit to do the rest. The fan circulates and mixes the oils into the mist, so we enjoyed not just clean and refreshing air but also sweet-smelling, too. 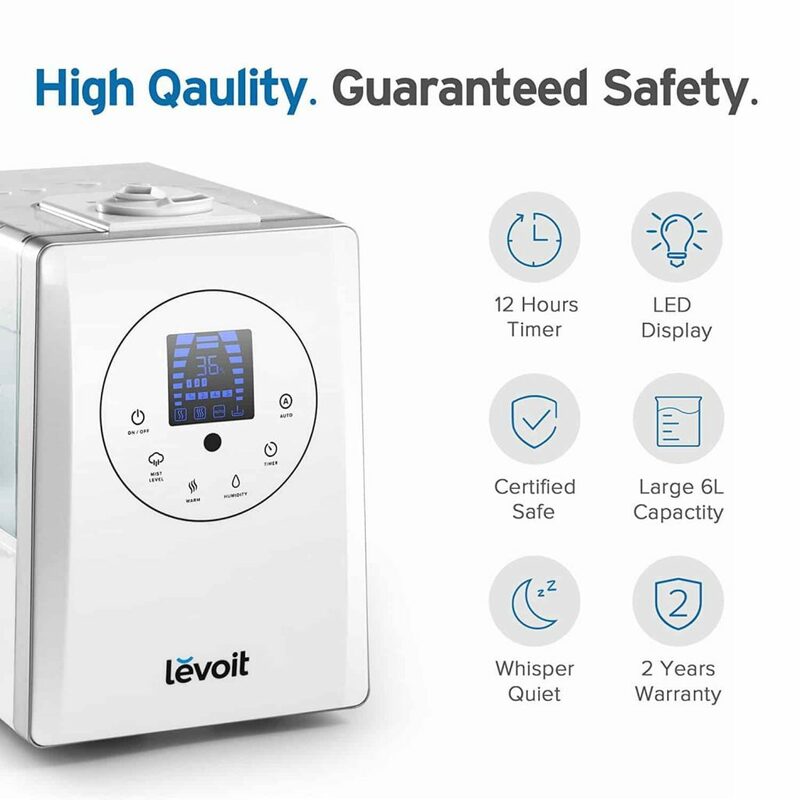 The mist that this powerful unit produces can be controlled with the touch of a very responsive dial, and it’s easy to instantly adjust the intensity of the moisture to individual tastes and requirements. We tried but couldn’t find anything that needed improving. This is a great option for homes and offices. It packs a real punch for its small design and is so quiet that we forgot it was there. 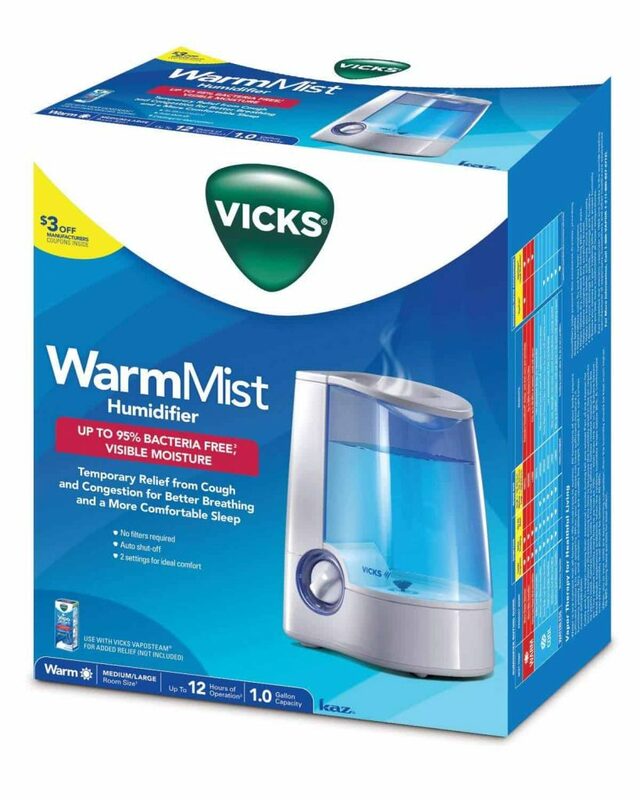 Throw in an awesome essential oil diffuser, and this humidifier is an excellent bargain. What else is trending today?